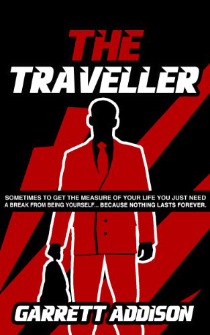 In The Traveller by Garrett Addison, a man who has been beaten down in his life and job transforms while on a trip for work. Suddenly instead of the man to be stepped on, he is a rising star unable to do wrong. When a person rises so high they will certainly fall so will this magical ride last or will the Traveller find himself back where he started?